Hi parents of, carers of and fans of Jungle Beat! Thanks for visiting our website. We appreciate your support and love sharing the Jungle Beat fun with you. We want your kids to have as much fun as possible on the website. We also appreciate how important it is for you to understand what your child is consuming and who they are interacting with (even if they’re animated characters) and so we want you to know all about Jungle Beat and who we are. Here’s a little something about what Jungle Beat is and what the brand promotes. Jungle Beat promotes kids having fun! Our episodes are written and produced with this one key word in mind. From this starting point, our brand is built on four important values – Fun, Family, Quality and Classic. So, what is Jungle Beat? A Whole Jungle of Fun! 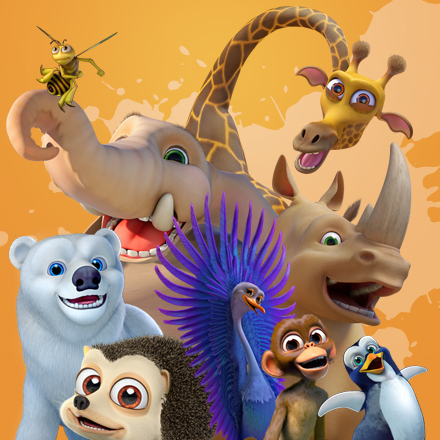 Jungle Beat is a fun, family friendly series of CGI animated, self-contained, dialogue-free, 5 minute episodes focusing on different animals and the bizarre situations they encounter in nature. From the Firefly who’s afraid of the dark, to the giraffe with a stiff neck, this wholesome series aims to entertain and delight young children, and their families! Remember when kids were kids and playing meant grass burns, bare feet and muddy faces? That is the world Jungle Beat exists in. It is innocent, positive and uplifting. It makes the world feel like a better place. It encourages community, acceptance and celebrates the individual. 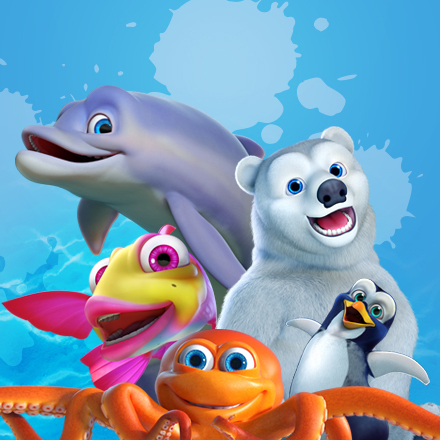 Fun – Jungle Beat is energetic, light hearted, delightful, excited, spirited and funny! Family – Jungle Beat is wholesome, healthy, good-natured, family-friendly and trustworthy. Quality – We have a passion for excellence, consistency and maintaining integrity. Classic – Jungle Beat is created to be timeless and endearing. Jungle Beat is not rude, derogatory or offensive. It is not negative, rebellious or destructive. It is not trendy, does not have attitude and operates outside of the realm of pop-culture.If Jungle Beat were a child it would be the excitable kid who can’t stop talking in class. He sits in the front, not the back, but is easily distracted and though he adores his teacher and wants to behave, he also just wants to play! He believes he can fly and tries. The fact that he falls and doesn’t fly doesn’t discourage him, it just makes him wonder what he’s doing wrong, because he clearly believes he can fly! The world of Jungle Beat is vibrant and clean and full of life and colour.